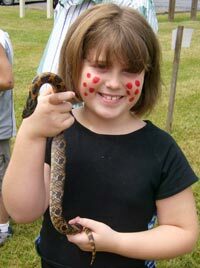 Based upon our experience with Farm Day and Children's Day we have expanded our Opening Day Event and renamed it Hampshire Family Frontier Day. We are endeavoring to introduce our friends to the lifestyle of Joseph Edwards and the other settlers of mid-eighteenth century Hampshire County. 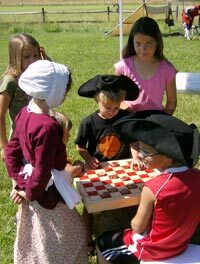 There will be reenactors and crafters who will share with our visitors the skills of the colonial frontier. The event is at our site in Capon Bridge,West Virginia. Admission to all the events is free this year including to the new exhibit. Donations are graciously accepted. See poster below for information on demonstrators. The Fort Edwards Foundation preserves and interprets the site of Joseph Edwards's home and French and Indian War fort along the Cacapon River in West Virginia's oldest county. This fort was one of Col. George Washington's chain of forts protecting Virginia's western border. 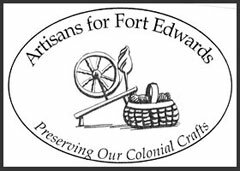 The Artisans for Fort Edwards practice the arts and crafts of the mid-eighteenth century settlers. They support The Fort Edwards Foundation in interpreting our site and educating the public in colonial crafts. Mark your calendar for the 3rd Saturday in June! Below is a map of our site location. © 2010 The Fort Edwards Foundation. - All rights reserved.